On August 26, Freedom Alliance hosted a Troop Appreciation Dinner for the Sailors at Naval Air Station, Fallon — about an hour outside of Reno, NV. 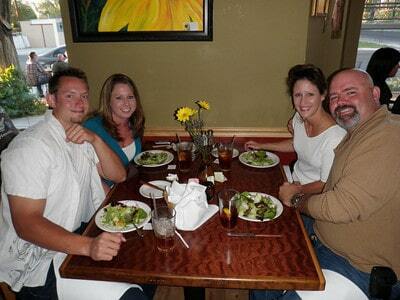 The dinner was held at the “Slanted Porch” in Fallon which is considered one of the best restaurants in town. Nearly 75 Sailors and their families enjoyed the meal together. Attendees raved about the steak and salmon dishes and the amazing homemade chocolate cake for dessert. Freedom Alliance regularly hosts Troop Appreciation Dinners for military personnel around the country to honor and thank them for their service and sacrifice. The dinners also afford an opportunity for our troops to enjoy time out with their friends, families and comrades.